Did you know you don’t always have to pay for clothes? I’ve been able to get so many clothes for free through the years (both for my children and myself). Here’s how I’ve been able to get free clothes. Some friends and I have done this before, and it’s lots of fun! 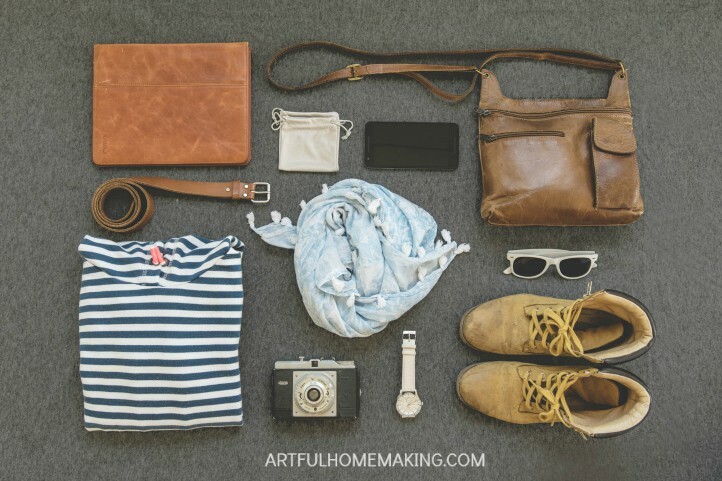 You can make a fun day of it by getting together at someone’s house and bringing all the clothing you’re willing to part with. Everyone takes what they need/want and the rest is donated. I’ve had several sweet friends who generously shared clothing with us, especially when our kids were younger. I also occasionally get hand-me-downs from my oldest daughter! I think this is kind of fun, but it’s not as simple as the other options. I love taking one item and turning it into something else that I need or would like better. I’ve done this for my daughters by taking a larger skirt and turning it into a smaller one for a younger girl. And I love tutorials for turning menswear into a useful piece of women’s or girl’s clothing. All you have to do is create an account with Zulily and they give you a referral link that you can then share with friends in an email, on Facebook, or on a blog. I have been able to get quite a few outfits and also home decor items from Zulily for free just by sharing my referral link. You get a credit whenever your friend’s first order ships! ThredUP also has a referral program you can use when you sign up with them. Share your link to get credits to use towards free clothes! When you sign up through my referral link here, you’ll get $10 in credit and I’ll get $10 credit! I just placed an order earlier this week, and it cost me absolutely nothing. Even the shipping was covered by my credit. We’re regularly able to cash in our Swagbucks for Amazon gift cards. We recently got one for $25! You can then use that gift card toward some free clothes on Amazon. What are your best tips for saving money on clothing? This post contains my referral links. Read my full disclosure here. Sharing here. 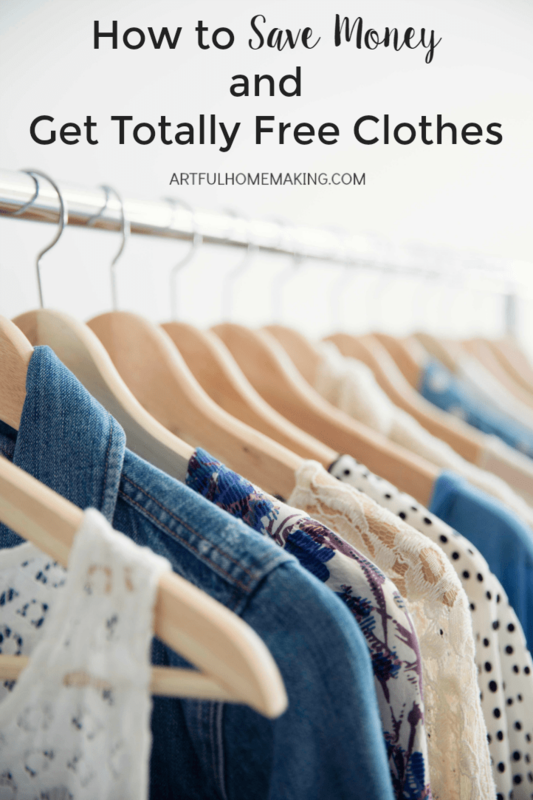 These are such great ideas to get quality clothing for free! I have done lots of swaps with friends, but am not as familiar with Zulily and Thredup. Thanks for sharing! Visiting from #FreshMarketFriday! Swaps are fun, aren’t they? I’ve been ordering from Zulily and ThredUp for years, but sometimes I do wish I could try something on first! Thanks so much for visiting, Christin! Great ideas! Being intentional is the key. My sister in law loves doing the online sites, but I like to try things on first. Everyone can find a good fit with your tips. 🙂 Visiting from #sittingamongfriends. I totally understand about wanting to try things on! Thanks so much for stopping by, Angela! Amazing what you do! I just go to tjmaxx. Not as creative for sure.